Former Apple hardware engineer Tony Fadell needs no introduction. After leading iPod development and helping build the iPhone, he left Apple for his own startup, Nest. There, the brilliant engineer banded together with a talented team comprised of former Apple wizards to create the Nest learning thermostat (Jeff had to say a bunch of nice things about it). 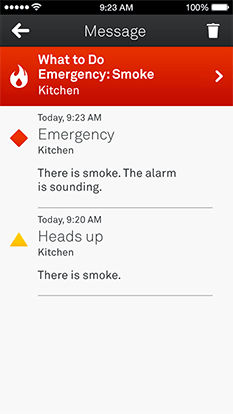 The Protect is connected and app-enabled so it can send an alert to your smartphone telling you what the danger is and where it is. The appliance also tells you when it’s batteries are low and lets you silence nuisance alarms (like burning toast) with a simple wave of your hand. And boy, does it look stunning. By the way, that light doubles as both a status indicator and your lighting that automatically switches on when it senses movements. You can daisy-chain a bunch of units by way of wireless connection and they’ll all automatically talk to each other and share data. Even better, the Protect integrates with the Nest learning thermostat for a more complete experience. If Nest Protect’s carbon monoxide alarm goes off, your Nest thermostat automatically turns off your gas furnace, a possible source of poisonous carbon monoxide leaks. Also, you can set the Protect to sound off the alarms through multiple units. 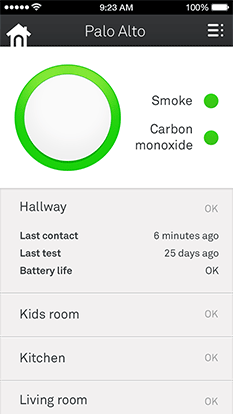 The iPhone app provides critical information about your home’s smoke and carbon monoxide levels, any crucial changes in those parameters, the device’s status and much more. The appliance learns about its surroundings by tapping six sensors: photoelectric smoke sensor, CO sensor, heat sensor, light sensor, ultrasonic sensors and activity sensor. The updated Nest app, now with the Protect management features. 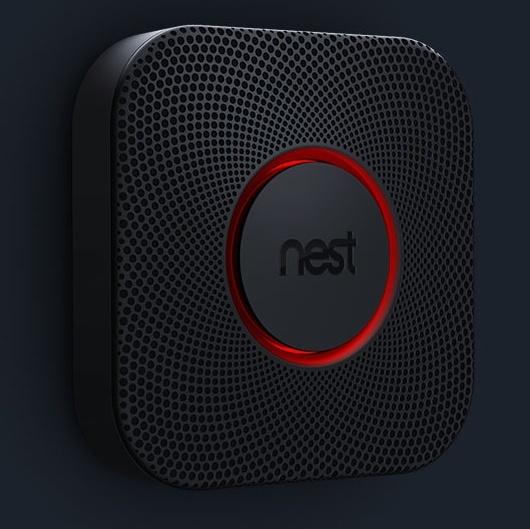 Nest Protect: Smoke + Carbon Monoxide does much more than just sound a shrill alarm when there’s danger in your home. It speaks to you, telling you where the danger is and what the problem is. And before it sounds a piercing alarm, Nest Protect gives you a friendly Heads-Up warning that you can silence with a wave of your hand – no more swinging towels or brooms to try to quiet a false alarm. It integrates with your mobile devices and even messages you if the batteries run low, avoiding that all-too-familiar midnight low-battery chirp. Love the towel swinging analogy. I should get one just to prettify my home office! • High-quality smoke and carbon monoxide alarm. 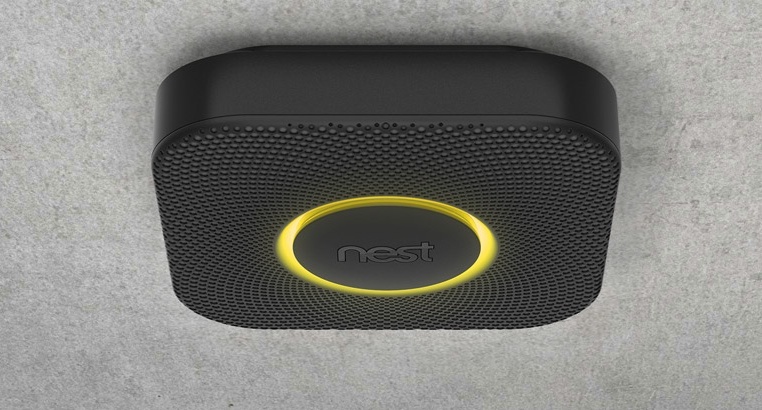 Nest Protect is a multi-criteria detector with heat, CO, and smoke sensors that work together to detect danger. • Heads-Up. 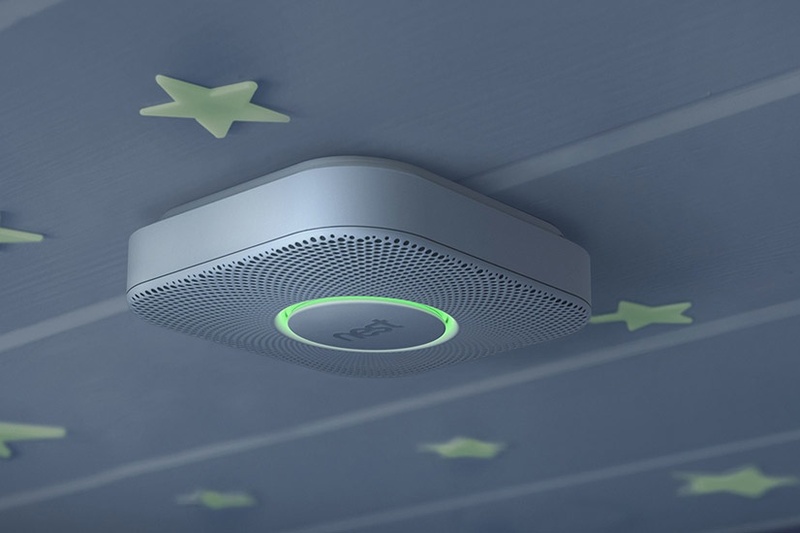 If Nest Protect sees that smoke or CO levels are rising but have not yet reached emergency alarm levels, it will give you an early warning so it can avoid crying wolf. • Nest Wave. No need to wave towels or climb on chairs. Nest Protect lets you silence nuisance alarms with a wave of your hand. • Mobile notifications. Connect Nest Protect to your free Nest account using Wi-Fi and you can receive low-battery alerts, Heads Up and emergency alarm notifications on your smartphone or tablet. In an emergency, the What to Do feature will remind you of recommended actions and give you one-button access to an emergency phone number. • Nightly Promise. Sleep safe and sound. Before you doze off, Nest Protect shows you its sensors and batteries are working with a quick green glow after you turn off the lights so low-battery chirps don’t rattle your dreams. • Pathlight. 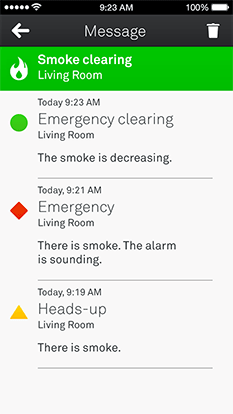 Nest Protect offers more than just smoke and CO warnings. Its LED lights can be a night light in your home. When it’s dark, Nest Protect will light your way as you walk underneath it. • Vocal alarms. According to a study by Victoria University, children can sleep through beeping smoke alarms. So in addition to alarm sounds, Nest Protect uses female Voice Alarms to help wake sleeping children in case of emergency. • More sensors, more features. Nest Protect’s sensors include a photoelectric smoke sensor, CO sensor, heat sensor, light sensor, ultrasonic sensors and activity sensor. Together, they analyze smoke and CO levels, see when you wave, and light your way at night. • Wireless interconnect. 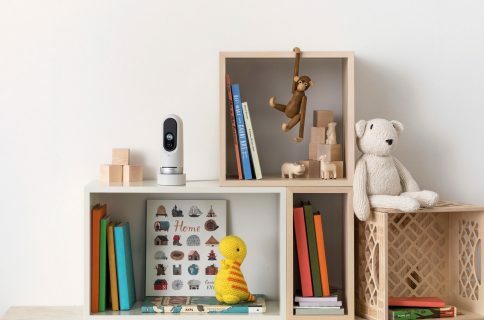 If you have more than one Nest Protect, they connect so you’ll hear alarms from all Nest Protects in your home, even if the danger is in only one room. • Design. Nest Protect introduces a distinctive square shape with a white sunflower pattern. 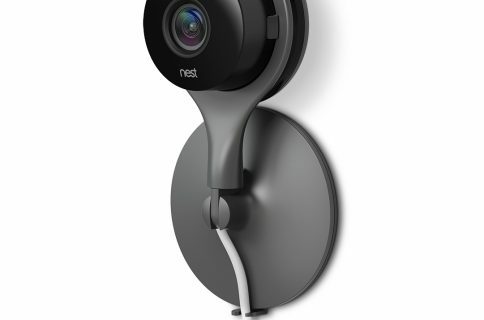 A black version will be available only at www.nest.com. • Multiple languages. In the U.S., Nest Protect offers voice alerts in both English and Spanish. Simply select your preferred language during setup. The device is available in black or white, wired or battery-powered. To learn more, visit the official Nest Protect website or read The Verge’s hands-on. The Protect will set you back $129, a small price to pay to protect the lives of your family with a reliable and highly advanced smoke alarm for the 21st century. They are taking pre-orders now as the device goes on sale next month.